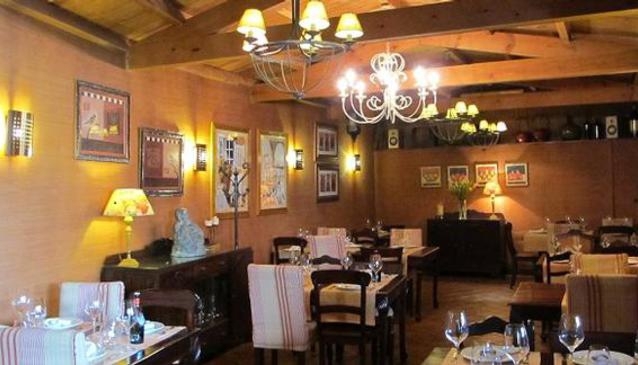 El Restaurante Avoengo is a family friendly establishment conveniently located in Nigrán, Pontevedra, with great views of the valley, surrounded by forests. It also has a well cared for wine cellar, with a large selection of wines from different Denominations of Origin. It has a large garden with a large terrace to enjoy nature and the peaceful and friendly atmosphere is ideal for any kind of events, from family to business lunches,there is also has a large marque, available all the year. The dinning room is decorated with exquisite works of art on the walls, rustic stone, it's like eating in a museum, in harmony with the antique tables and chairs, without doubt a place with a special charm. On the menu you can find dishes made with quality products and seasonal, based on traditional home cooking and a variety of hot or cold tapas to suit all consumer tastes. We cannot forget their homemade desserts ike Grandma's pie or delicious flan amongst others. Among the 'serious Dishes' are those who are the house specialty: Meat and fish, all washed down with a wide variety of wines from different Denominations of Origin in Galicia and Rioja and Ribera del Duero, the establishment has a well-kept wine cellar, a jewel for the palate. The average price per person is between 20-30€. Feel free to visit, you will leave happy and wanting to go back again. In summer it’s open daily from July 1 until 31 August.The rest of the year its closes on Mondays and Sunday night.